This month we bring news of our new website! Yes, our automotive website has been given a new look and feel. We believe the new look and interface makes navigation easier, for both experienced PicoScope users, and those new to the world of scope diagnostics. Our fresh new homepage now gives instant access to software downloads, training aids, technical support, company news and more. 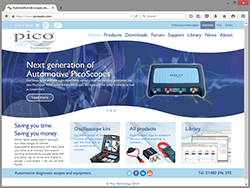 With a carousel of recent information and news, we believe the new looking www.picoauto.com supports both existing and new customers. 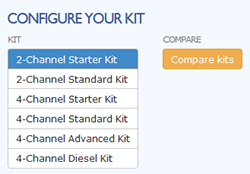 Within our kits overview we now have a kit comparison tool, making it even easier for our customers to view the options available to them. Our Automotive Test Kits are designed to make the vehicle diagnostics intuitive and logical. Each kit comes with a variety of accessories to test a multitude of vehicle components. These accessories and some of the tests the various kits can cover are now shown in a detailed list. Waveform library update: Our latest waveform library figures are in. We now boast over 1700 waveforms, covering multiple vehicles, engines and fuel types. Have you uploaded your saved waveforms yet? 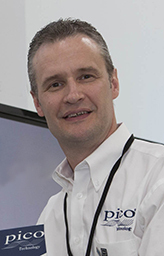 What follows is a case study concerning a Maserati Quattroporte that both 2010 Top Tech winner Stuart White and 2013 Top Tech winner Steve Smith had the pleasure to diagnose together and more importantly, rectify. Stuart who owns and runs Complete Car Maintenance (CCM) had mentioned a customer complaint of vibration on the above vehicle around 1600 rpm when both stationary and when moving. Setting up the PicoDiagnostics NVH kit we could measure the frequency and amplitude of a vibration easily by following the setup wizard within the NVH software. 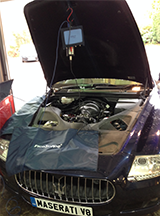 To continue reading Steve's Maserati NVH case study please view it on our website. Competition time... Win an NVH or WPS500 kit! In June we announced our new Waveform Library competition. We've had over 320 waveforms uploaded since the competition started. Don't forget, the more waveforms you upload, the greater your chance of winning. Every uploaded waveform is another chance to win! 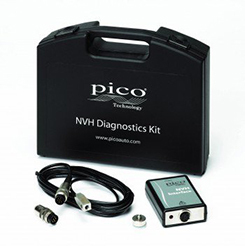 A reminder as to why you should enter the competition, we are going to give 1 lucky winner the choice of receiving either an NVH Diagnostics Kit, or a WPS500X Pressure Transducer Kit. 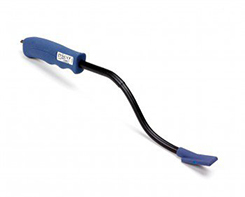 Plus Four runners up will win one of our Coil-on-plug and signal probes. To enter, simply save your waveforms to the Waveform Library. The more you save, the more chances you get to win! All the waveforms uploaded to the database between June 1st and August 23rd will be entered into the draw. Only one prize per customer. There is no cash alternative. You cannot choose an alternative prize (except where stated). 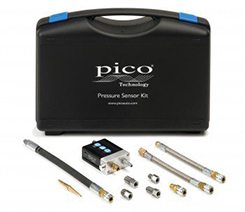 Winner to be announced in August Pico Technology Automotive newsletter. What has become apparent since the launch of the Waveform Library is the number of new channel labels that have appeared from users all over the world. These new labels are gathered together for review and then added to the PicoScope software in order to speed up the process of channel labelling (which is essential when searching for a specific component). As individuals we all have our preferences as to what we call various vehicle components and for this reason we have channel labels such as Oxygen / 02 / Lambda sensor. Start typing any of the above component names in the channel label box and PicoScope will automatically list the options available. This way you do not have to search through the long list of channel labels until you find the one you want. We are constantly looking at the growing list of Channel Labels and we feel it only right to include our customers in a streamlining process. Steve Smith has posted a new thread on our forum, based on the very subject of Channel Labelling. We would like to invite you to pass feedback and suggestions to this list so we can further improve our service to you. The forum post can be found at: https://www.picoauto.com/support/topic10781.html. Q: Hi, the waveform relating to the "Charging and Starting > Starting Circuits > Current / Volts Starting (12 V)" Guided Test seems to drop to negative amps. Why is this? A: Hi and many thanks for your question. 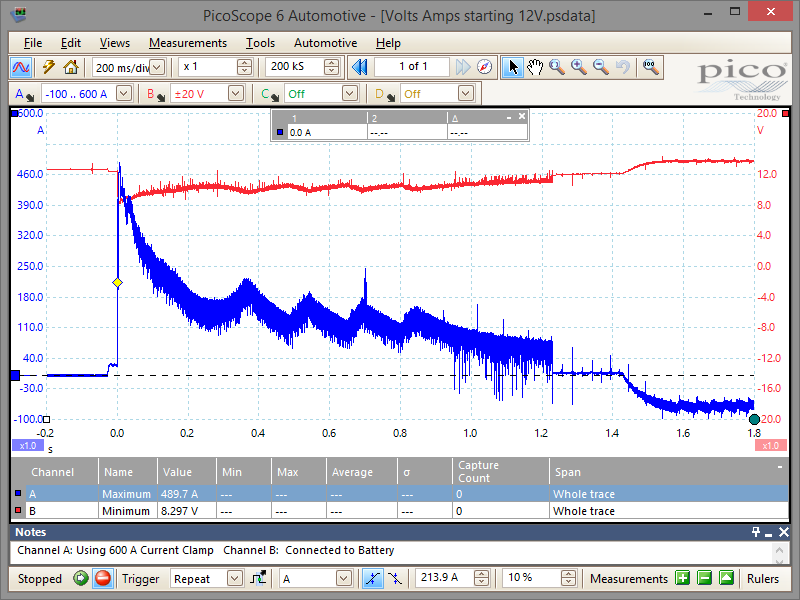 As you may have seen in either the Automotive Guided Tests (within PicoScope 6 Automotive software) or the Waveform Library, we use the inrush current to evaluate the battery condition, starter circuit, starter motor, and engine drag. We then use the peaks during cranking to evaluate relative compression, cranking speed and average current draw. Moving onto the current clamp position (around negative terminal with the engine running) this does serve as an indicator of charge applied to the battery but we have to be aware of the effects of other circuits that will influence the displayed value and potentially disrupt the expected results. During cranking with the current clamp around the battery negative lead (arrow facing the negative terminal), the current flow will be as expected in the relevant direction: from battery positive through the starter motor returning to the battery via the negative lead (starter loop). With the engine running (no load after cranking) the current flow will be from the alternator positive terminal through the battery, returning on the negative lead to the alternator. This produces a negative reading on your scope (alternator loop). The value here will be relevant to charge current and be accurate (to a degree) but will read negative. Assuming we now switch on electrical load such as heated rear windscreen (HRW), current will flow from the battery through the HRW and return on the negative lead to the battery negative terminal (HRW loop). However the alternator will compensate and respond to this additional load and increase the charging current, resulting in very little change in the current value measured by your clamp around the battery negative lead. If you have any questions on this, or any other Technical Support query please email support@picotech.com. Visit our Technical Author recruitment advert for more information, or take look at our pico.jobs web page and see what else we have to offer? !